Smoy allows you to take your favorite photos, clippings from newspapers/magazines, etc and make your own unique creation ‚Äì a visual collage of your memories and a personal statement. Make it your own! The Smoy Photo Cuff is an adorable bracelet made of vegan leather and available is some great colors! 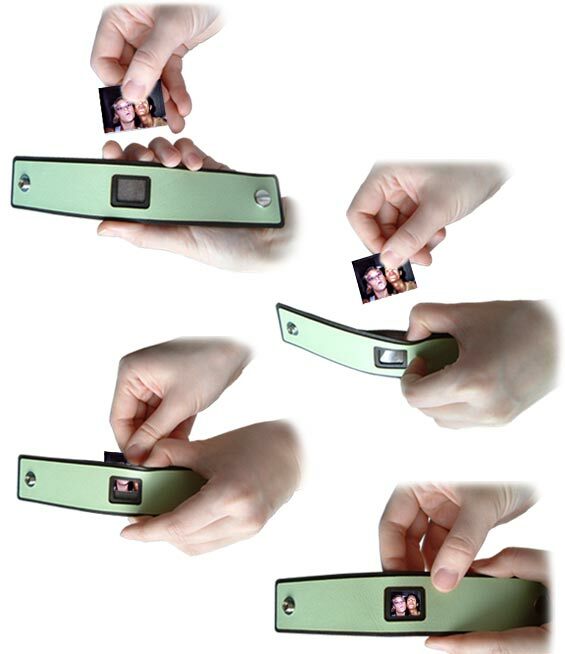 Simply insert your image in the interior pocket and you are good to go!¬† Smoy offers several sizes and styles with cuffs that offer slots for one, two or three photos. Also in their collection is a iPod case and even a belt, and of course we love the kids photo cuff that is shaped like a flower! Just adorable! Prices range from $17-$35 making this the perfect affordable gift for the photo lover in your life! And just case you do not believe how easy it is to change out the pictures - well here you go!